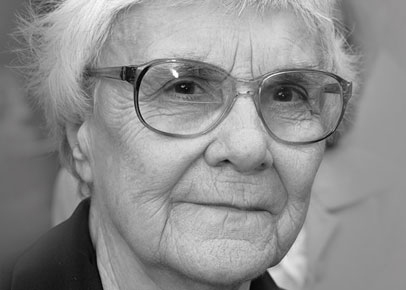 Harper Lee’s long-anticipated second novel, Go Set a Watchman, tells also of destroyed images and harsh judgment. The biggest image, the most revered icon, is that of Atticus Finch, father of 26-year-old protagonist Jean Louise “Scout” Finch, the tomboy heroine of To Kill a Mockingbird. The harsh judgment is hers, delivered on her father, her town, and in her bewildered anguish, on herself as well. Scout is not the only one who is disillusioned. All of us who grew up with Ms Lee’s first book have always considered Atticus Finch one of American literature’s greatest heroes. He was noble, and pure, and motivated by holy charity in his search for justice. Well, not so fast. We, like Scout, find that it’s a little more complicated than we thought. In her climactic confrontation with Atticus, the shocked and appalled Jean Louise was allowed to “break her icons, one by one,” as her uncle, the eccentric but learned and worldly-wise Dr. Jack Finch, subsequently explains to her. Jean Louise, home from New York for her annual two-week vacation, had seen her 72-year-old father taking part in a local council meeting in Maycomb, Alabama. Her icons are not the only ones that get broken; as Atticus comes down from his pedestal, one of ours does too. Though Atticus doesn’t engage in such speechmaking, he’s up on stage with them. So too is Henry Clinton, his young law associate who wants to marry Jean Louise. She can’t deal with it. She yearns for her own personal watchman, to help her declare what she sees. I don’t think I’m giving away too much by reporting that Uncle Jack tells her that he, and not Atticus, had to be the one telling her what had happened during the daughter-father blowout. She would not have listened to her father, who had been like a god to her and “Our gods are remote from us, Jean Louise. They must never descend to human level,” as Jack puts it. The subgroups of those Southern belles included the Newlyweds, the Diaper Set, the Light Brigade, and the Perennial Hopefuls. Reading Lee’s acerbic descriptions made me think of the beehive-coiffed and bigoted females of that terrific movie, The Help. Jean Louise would get along famously with Emma Stone’s heroine, Skeeter Phelan. Alison Janney’s character, Charlotte Phelan, would be instant simpatico with Uncle Jack. Along the way there are several flashbacks to Scout’s childhood, to adventures and misadventures with her now-deceased brother Jem and their friend Dill, and to the trial of the falsely-accused Tom Robinson at the heart of Mockingbird. 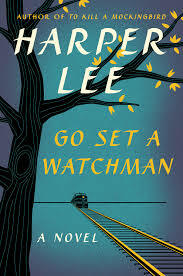 Go Set a Watchman was written by Lee in the mid-1950s, which was right around the time of the Brown vs. Board of Education decision. Governor Orval Faubus may or may not have already fomented the 1957 crisis at Little Rock Central High School, which prompted Republican president Dwight Eisenhower to send in the 101st Airborne Division to restore order. James Meredith, Bull Connor and Selma, the Freedom Riders, Strom Thurmond and the Dixiecrats defiantly raising the Confederate Flag in South Carolina – all these lay in the future. But Harper Lee saw what was happening. And like Isaiah’s watchman, she saw what was coming. She’s written another wonderful book. I’m only sorry she waited so long to let it be published, and I’m sorry that during her long life she didn’t see fit to write more of them. Go Set a Watchman will probably never be as prominent in the canon of American literature, or as beloved, as To Kill a Mockingbird. But no matter. It’s a superb book. If you liked Lee’s first one, I think you’ll like the second – and may appreciate it even more. You are currently browsing the Veteranscribe's Blog blog archives for July, 2015.